Well I was going to watch a Movie…. All day I was thinking how great it was that I was going to have a little down time tonight. Bethy had begged and pleaded all week to go to the Bush dance at school and Dion was willing to take her and had every intention of taking her but I gave him the option tonight when he got home from work. He was not looking forward to going to a bush dance. So as the good wife that I try to be, I hesitated and then I asked him if he preferred that I take her….I hesitated, because I knew that if I gave him or any man the option of staying home or going to a bush dance, I knew that my plans of watching a movie tonight was over… disappointment set in as the realisation that my movie night was not going to happen – instead, I was going to stand or sit in the ‘open’ basketball stadium on a cold windy August night. As my niece C, Bethy and I ventured to the school I was a little irritated with myself…if I hadn’t said anything to Dion about taking his place I would be the one warm snug at home. I tried very hard to put an upbeat spin on the idea of the bush dance. I told myself that Bethy wanted to go…and this was important to her so I was going to pull myself together and go for my Bethy. In fact, whinging about going to the bush dance was probably offensive to her…so complaining to her would be wrong as she likes this sort of thing and I don’t want her to not like it just because I am not a mad keen bush dancer. So I ate some humble pie. 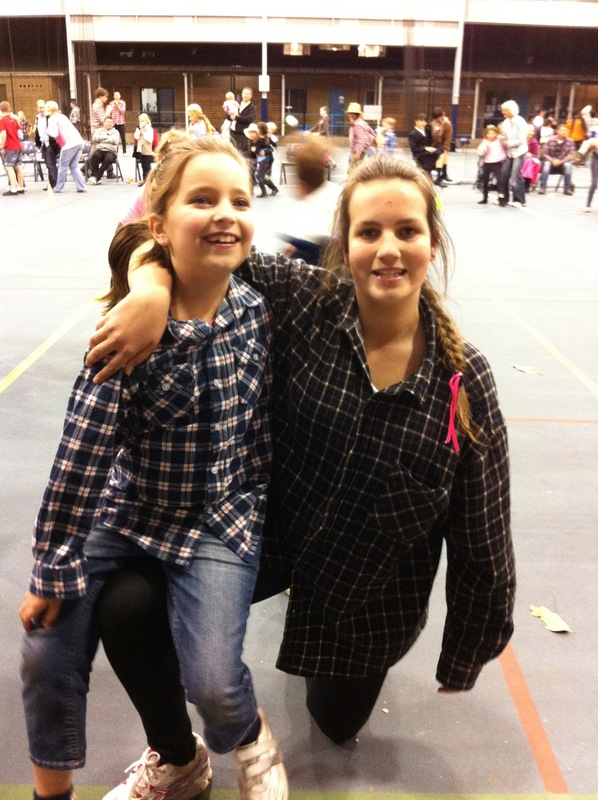 Walking into the bush dance was interesting…all of a sudden I was happy I went. I saw Tammy by the entrance gate to the basketball stadium and instantly I knew it was going to be a good night. Tammy is what we Aussies call a good sort…she is down to earth, reliable, fun and interesting. She has the super hero combination for good friend, and so does Meegan. Meegan holds all these qualities as well and the thing I love is that through all their personal life issues they continue to smile. They are real and they say things are bad when they are bad, but they also look for the silver lining and they choose not to sink – but to shine right through it. Everyone has hardship, but not everyone works hard to shine through it all…and these two women are definitely shiners…in the true sense of the word (not bruisers). So I was going to watch a movie, but instead I had a great night. It wasn’t about bush dancing for me, it was about being with the people I do life with in one way or another through our school community. I got to catch up with friends, but I also got to see my beautiful Bethany having fun with her friends and being apart of her school community. I hope that we can afford to stay at this school, because I love watching the family interaction and atmosphere of our school. I may not agree with every decision made at school, or I may not agree with all the teachers points of view, but I do honestly believe that their heart is to serve and educate our children to the best of their ability. No school is perfect, but I think this school is perfect for us as a family. ← Sports Carnival vs Much needed Mummy time!